Primary Med Clinic (San Antonio) - Book Appointment Online! Located at Brook City, Primary Med Clinic is committed to provide our patients with quality, patient centered medical care. Dr. Maher Saloum MD, is certified by the American Board of Internal Medicine, with more than 10 years of experience in Internal Medicine and Hospital Medicine. 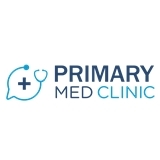 Wether you need a wellness exam, or you have multiple complex medical problems, at Primary Med Clinic we will take care of your medical needs. I was very satisfied at my appointment. I felt like all my concerns were addressed and everything was explained to me clearly. ?? Very swift staff very thorough a group that knows how to handle patients properly and with care.